Product prices and availability are accurate as of 2019-04-23 14:02:58 EDT and are subject to change. Any price and availability information displayed on http://www.amazon.com/ at the time of purchase will apply to the purchase of this product. 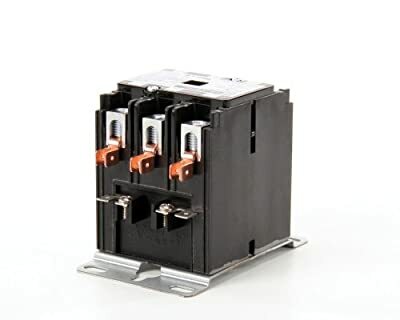 8910DPA43V02, 3POLE 40 AMP 110 VOLT CONTACTOR. Square D Genuine OEM replacement part. Squared D provides products that are used in the commercial food service industry. Use genuine OEM parts for safety reliability and performance.